Female Franchise was actively campaigned for in Tasmania from the early 1890s, and in 1902 women were given the right to vote in federal elections. Tasmanian women became eligible to vote in House of Assembly elections following a change to the eligibility criteria from 'man' to 'person' in the Constitution Act (1903). Although this allowed women to vote, they were not eligible to stand for election to either House. 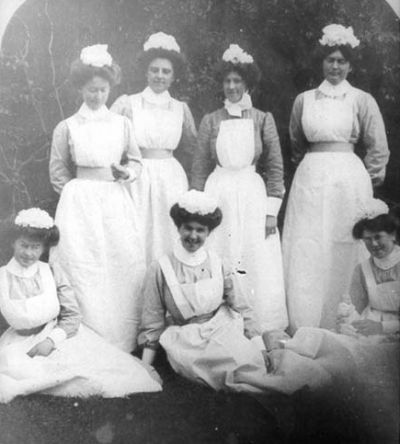 In 1920 women who had served as nurses in the First World War became eligible to vote in Legislative Council elections. In 1921 amendments to the Constitution Act granted women the right to stand for election, provided they qualified as electors. Alicia O'Shea-Petersen and Edith Waterworth stood in Denison and Annette Youl stood in Wilmot (now Lyons), albeit unsuccessfully, in the 1922 House of Assembly election. In 1928 compulsory voting for women and men was introduced, and two years later it became mandatory to enrol to vote at state elections. In 1941 the franchise for the Legislative Council was extended to all 'servicemen and women in any war', and the age limit reduced from 30 years to 21 years, or lower for serving members of the armed forces. In 1954 the spouses of property owners, who were mainly men – due to loan restrictions – became eligible to vote in Legislative Council elections. In 1968 full adult franchise was granted for Legislative Council elections, and in 1973 the voting age for all electors was lowered to 18 years. Margaret McIntyre was the first female Member of Parliament in Tasmania. She was elected as an independent for the Legislative Council seat of Cornwall in May 1948, by predominantly male voters, but was killed in an air accident in September 1948. In 1980 Gillian James, ALP, was appointed Tasmania's first female Minister; in 1989 Fran Bladel and Judy Jackson were made Ministers in the Field Labor government (1989–92). Mrs James was also Deputy Speaker during 1980. Christine Milne was elected leader of the Tasmanian Greens in 1993 (three of the five members were female) and so became Tasmania's first female Party leader. She was defeated at the 1998 election, after which the only Greens member was Peg Putt, who assumed leadership of the Party. Sue Napier became the first female Liberal Party member to enter Cabinet when made an Assistant Minister in 1994; she became Deputy Premier in 1996 and the first woman to lead the Tasmanian Liberal Party in 1999. When elected to the Legislative Council in 1997, Silvia Smith became the first woman to represent Tasmania at both federal (Labor) and state (Independent Labor) levels (MHR Bass 1993–96; MLC Windermere 1997–2003). Further reading: V Pearce, '"A few viragos on a stump”', THRAPP 32/4, 1985; A Oldfield, Woman suffrage in Australia, Melbourne, 1992; S Bennett & B Bennett, Tasmanian electorial [sic] handbook, 1851–1982, Sydney, .